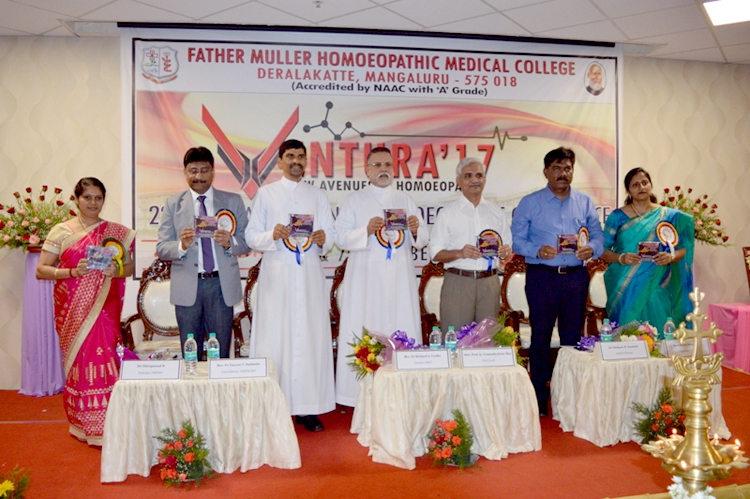 Father Muller Charitable Institution, presided over the function. The Programme began with a prayer song. Dr Shivaprasad K, Principal, Father Muller Homoeopathic Medical College gave the welcome address followed by lighting the lamp. The Chief Guest spoke on his experiences with Homoeopathy as a child and later at his workplace at IIT, Kharagpur.